Spring and autumn - temperatures are pleasant and Rome isn't as crowded as in summer. We are comparing Rome Evening Walking Tour 3-Hours Prices from leading ticket suppliers and Try to find you Cheap tickets prices on the market. An introductory walking tour of the Centro Storico of Rome during evening hours. The tour guides participants to some of the top attractions of the city, revealing various interesting information about them along the way. Travelers begin the tour by marveling at the sunset from one of the best vantage points in the city for that. The tour introduces some extraordinary works of art by Gian Lorenzo Bernini, one of the leading Baroque architects and artists of his time. The tour covers Piazza del Popolo, Trevi Fountain, Spanish Steps and Piazza Navona among other splendid attractions of Rome. The small-group guided tour ensures personal experiences of its participants. You should join the tour to learn the history of Rome and how the city became what it is today - the Open-air Museum and one of the top tourist destinations in the world. The tour caters to fans of art, culture and popular and legends avoiding the common knowledge. Booking the tour is highly recommended to first-time visitors to the Italian capital. Your Experience With Rome Evening Walking Tour 3-Hours ? Experience the sunset over the Eternal City from Pincio hill at the beginning of the tour. Navigate through streets and narrow alleyways of the Centro Storico and enjoy a relaxed vibe of the evening in Rome. Visit Spanish Square and Spanish Steps, two adjacent attractions dominated by a church atop the wide stairway. 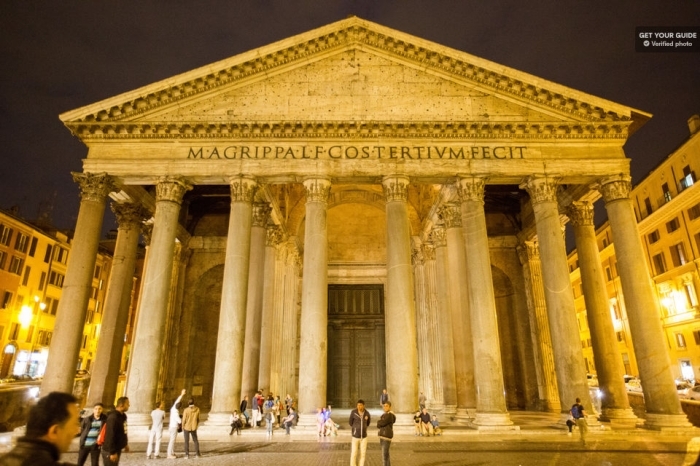 See Pantheon, a former Roman temple devoted to the gods of Rome that were converted into a Catholic church. Find your way to Piazza Navona, a large square featuring a shape of a former arena dominated by a few magnificent fountains. End the evening tour at Campo de' Fiori, one of the nightlife hotspots in the city. What Rome Evening Walking Tour 3-Hours Includes? Interested people don't wait for confirmation of their participation in a small-group tour. Assistance by a professional and expert guide. The central fountain of Piazza Navona represents the major rivers of Europe, Asia, Africa and South America - Danube, Gang, Nile and de la Plata. Legend states that you will come back to Rome if you flip a coin into the Trevi Fountain. Spanish Steps consist of 138 stairs. Travelers Reviews about Rome Evening Walking Tour 3-Hours ? Travelers underline that they enjoyed learning a lot about the city and its attractions on this walking tour. They commend the performance of their tour guides, who elaborated well and answered all their questions. The vast majority of the reviews indicate that the value of the tour widely exceeds its cost. A number of participants noticed that the itinerary was so well conceived that they had a chance to see something interesting around every corner. The walking tour isn't suitable for people suffering from immobility issues. Show paper or electronic voucher to join the activity. Depending on the chosen operator, you receive a full refund for cancellations 24 or 48 hours in advance. Dress accordingly to weather conditions and wear comfortable footgear suitable for walking. A moderate physical condition is desirable for joining the walking tour.